In a survey of 28,000 consumers, 47% said security may keep them from adopting Internet of Things devices for their home. 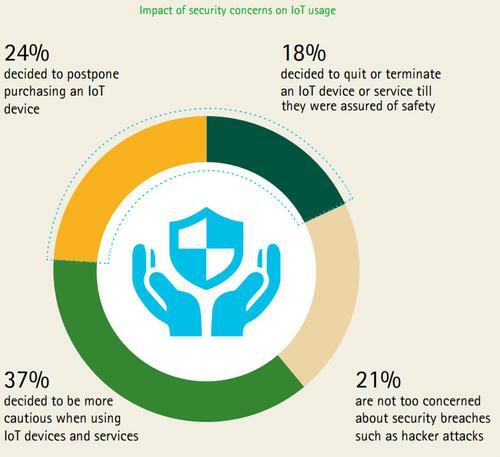 “Security has moved from being a nagging problem to a top barrier as consumers are now choosing to abandon IoT devices and services over security concerns,” the Accenture report states. “Security has moved from being a nagging problem to a top barrier as consumers are now choosing to abandon IoT devices and services over security concerns. More than two-thirds of the consumers surveyed are aware of the recent security breaches such as hacker attacks resulting in stolen data or malfunction.” the report said. Except for thermostats, most consumers do not want IoT appliances such as connected fridges, dishwashers, or slow cookers. The recent news of Nest ending support for the Revolv Home Hu, also highlighted the risks of trusting proprietary platforms for home connected devices.